During the event period, by growing (upgrading) Soulstones, you can obtain valuable items depending on the conditions you have achieved. ※ You will be gifted with items for each condition achieved, regardless of the Soulstone’s attribute. ※ The rewards for each condition achieved can only be obtained once. 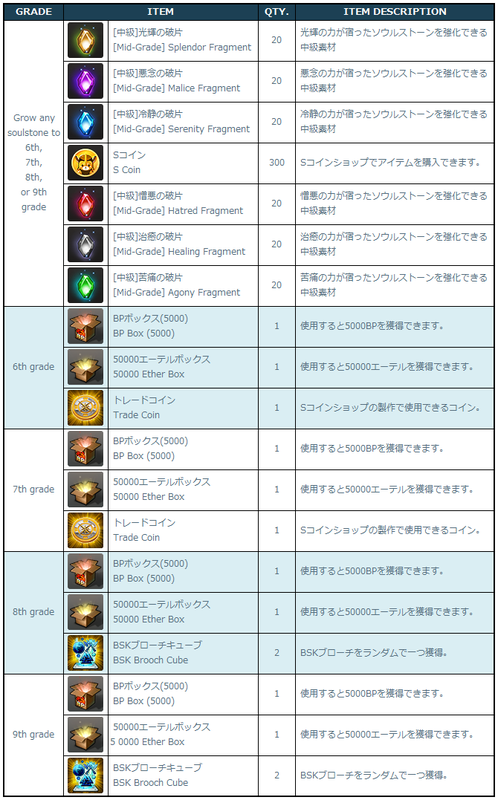 During the event period, if you grow the Soulstone to Grade 9, 「1,750,000 Zenny」 will be gifted which is 50% of the required Zenny to turn it into Grade 9. ※ The gift can only be obtained once.